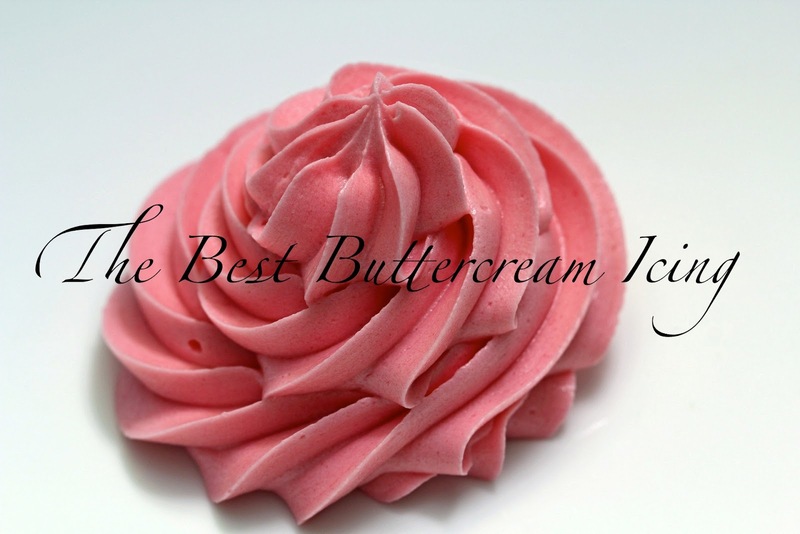 In order to decorate deliciously pretty cakes, you need the perfect buttercream. This is a recipe my mom gave me and I use it every time I decorate a cake with roses or other details. It tastes great, is easy to work with and a cinch to color. Here's the recipe! Beat shortening until smooth. Add butter and cream until fluffy. Add 1/4 cup heavy cream and vanilla. Mix well. Add sugar slowly and continue mixing. Slowly add remaining cream until right consistency is reached. Makes enough to frost a 9-inch 4 layer cake or a large cake made with two cake mixes. A cake I frosted with this recipe. Another cake frosted with The Best Buttercream Icing.